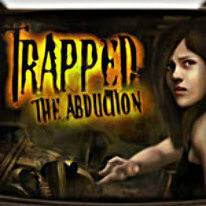 Trapped: The Abduction opens with a young woman locked in the trunk of a car. She doesn't know how she got there, or even who she is, but she knows she must escape! So begins a deadly game of cat and mouse where our young heroine must crack codes, decipher puzzles and escape traps laid out by her fiendish abductor. Problem is, he is watching her every move, and what seems like the exit might lead to another trap!